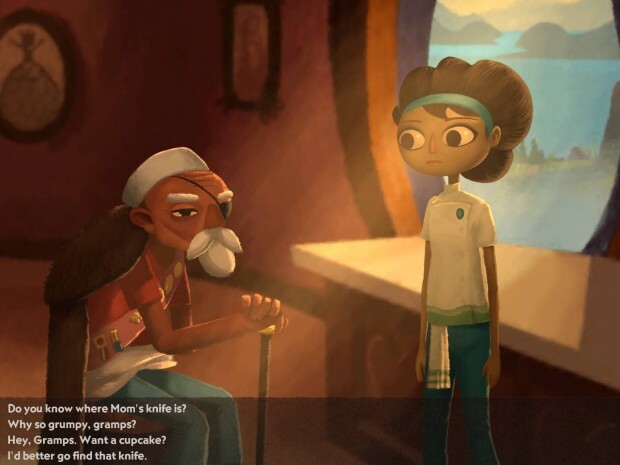 Broken Age ($4.99) is an appropriate name for this point-and-click adventure from Tim Schafer’s Double Fine, veterans of the genre. The game is about two separate stories that eventually come together, hence the ‘broken’ part of the name, but it’s also about how this game itself is broken into two separate parts: this is part one of two. Reviewing early access games from a critical perspective is hard enough as it is because a game can change so much from even a public release to its completion. But for this game, there’s a special challenge because instead of charging for the full game up front like on PC, with clear “early access" distinguishers, this is just being sold as part one, with part two available as an in-app purchase. 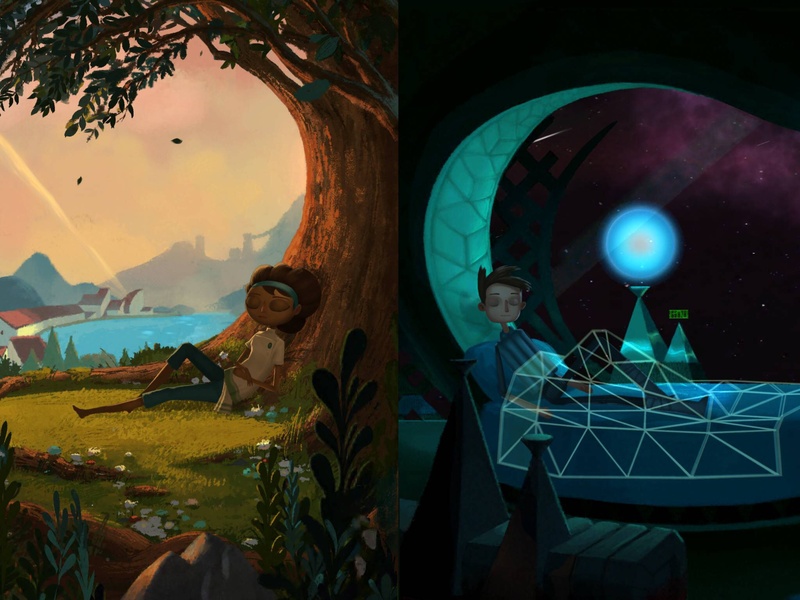 So, while I feel like part one of Broken Age shows some promise for the eventual whole, as a consumer product in and of itself, where people can buy just part one of the game, it’s hard to recommend on its own. There are two characters to play as: Vella and Shay, who each have their own stories that are seemingly independent, but intertwine by the end. It’s possible to switch between the two stories at will, or to just play one straight through and then the other. I played through Shay’s story and then Vella’s, and I’m not quite sure that I would recommend doing it in that way. Shay’s story is the shorter and weaker of the two, just kind of reaching a point where the game decides it’s over. Vella’s story is the longer and more satisfying one, with an actual story arc and a more satisfying conclusion, along with doing a better job at setting up this world of darkness filtered through whimsy. I’d suggest either switching between the two periodically, or playing through Vella’s, first and then Shay’s story. Shay’s story is interesting moe for how it connects to Vella’s, and it is perhaps more effective if serving as an epilogue to her story. The ending to Part 1 does a lot to redeem the entire experience, though. I don’t want to spoil it, but at least in the way I experienced it, it’s a perfectly-executed cliffhanger. It dramatically elevates the Shay side of the story and caused me to re-evaluate what was happening, and suddenly things that were odd or confusing started to come together in a real eureka moment, or at least in a head-slapping way of “Why didn’t I make that connection sooner?!" Perhaps jumping between stories would create a different experience, one that would perhaps make the connections between the two much clearer along the way. But in a way, that’s actually the clever part of the game: it really changes a lot based on how the player plays it. But even so, this is just the first half of a larger whole, and the two stories have obvious hanging threads that have gone unexplored, and even the ending is satisfying in a “I want to see where they’re going with this" kind of way. Shay and his story has a long way to go to being actually interesting, and hopefully part two makes the setup work. Perhaps this whole first part of the game will be more satisfying not as a conclusion, but as the mid-way point. Perhaps the puzzles will become bigger and more challenging, as they were never too difficult, but have some clever moments. This game may be halfway done to being a full and finished product, but the production values are not lacking. The game looks gorgeous in motion, like a vibrant storybook come to life. This is why retina iPads exist. The interface on the mini could be a little better: some text selections are small, though the interface, with a cursor that can be activated by dragging around, helps a lot. Otherwise, just tapping on the screen works well, and there’s no real conversation option that will, say, ruin the game by accidentally selecting it. There’s eight save slots, and the ability to sync up saves to Dropbox, which is great for if the app has to be deleted before part two comes out to clear up space. Now, while the game is gorgeous and ends on a high note, Broken Age Part 1 on its own is hard to recommend. 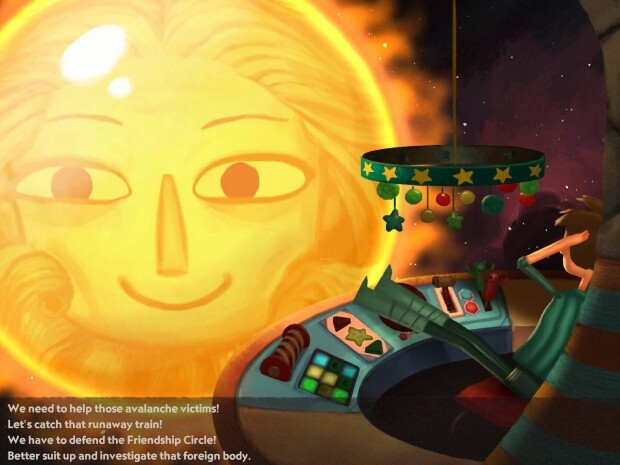 I’m not disregarding the entire game – with Part 2, it could wind up being something great. But just Part 1? I’d wait for the whole thing to release. Previous PostPrevious ‘Doug Dug.’ Review – Grab Your Shovel And Dig In!